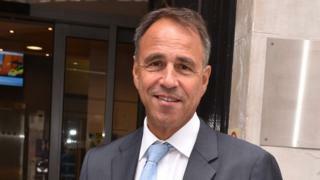 Author Anthony Horowitz says he was "warned off" including a black character in his new book because it was "inappropriate" for a white writer. The creator of the Alex Rider teenage spy novels says an editor told him it could be considered "patronising". Horowitz wanted a white and black protagonist in his new children's books but says he is now reconsidering. "I will have to think about whether this character can be black or white," he told the Mail on Sunday. "I have for a long, long time said that there aren't enough books around for every ethnicity." Horowitz, who has written 10 novels featuring teenage spy Alex Rider, said there was a "chain of thought" in America that it was "inappropriate" for white writers to try to create black characters, something which he described as "dangerous territory". He said it was considered "artificial and possibly patronising" to do so because "it is actually not our experience". "Therefore I was warned off doing it. Which was, I thought, disturbing and upsetting." Horowitz, who has written a new James Bond book, went on: "Taking it to the extreme, all my characters will from now be 62-year-old white Jewish men living in London." The author also revealed he had apologised to actor Idris Elba after saying he was "too street" to be the next James Bond in an interview in 2015. He was criticised by fans who accused him of making a veiled racial remark. Horowitz said the fallout from his remarks was "unpleasant because it went against everything I believe in". "The character I was being portrayed as was not the person I am," he added. "I'm still deeply sorry. I'm still annoyed at myself, it was stupid." Horowitz said he apologised to Elba at a film premiere and the actor "could not have been more charming, more delightful, more humane". He revealed the experience changed him and he is now "more guarded, more careful and more discreet".